Each GWLAB branch is a gemological complex composed of four sections: GWLAB gemological laboratory; jewelry and precious stones appraisals department; GW College, also known as Gem Color Academy, for gemological and gem-trade education and courses; and GWLAB Research and development center, led by Gemewizard experts. GWLAB provides a variety of services, including: diamond grading, colored diamond grading, laboratory-grown diamond grading and gem identification and jewelry reports; professional consultation to jewelers, goldsmiths, insurance appraisers, tax authorities and the public; appraisal services for jewelry and precious stones; laser inscriptions services on diamonds and colored stones; and educational lectures and seminars about a wide range of gemological and gem trade-related topics. 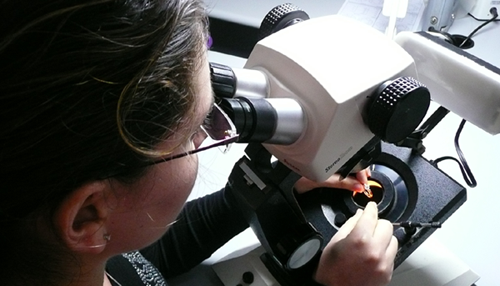 The GWLAB team prides itself on its highly skilled members, all of whom are highly professional gemologists, who had graduated from the world-renowned gemological institutes, GIA and Gem-A, and specialize in the analysis and grading of color, clarity and cut in gems, using state-of-the-art analytical equipment. The team is directed by Menahem Sevdermish, FGA, a world-leading gemologist and gem expert. To learn more about Gemewizard and its technology solutions, please click here.